Posting comments on news, interests and things Italian. How USA and Italy interact through media. Sometimes fun and inspiring, other times banal and redundant. Aren't we human? 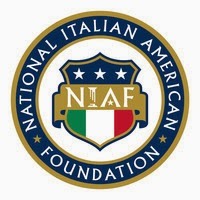 Local and national places that connect American and Italian business interests (fare affari- to do business) in the USA. Everybody needs business cards or calling cards...here, this is Moo, online printing for you and for business...I just ordered business cards and a sticker book of logos!